Quinn's opening night roster isn't likely to look too different from the team that finished last season 34-39-9. 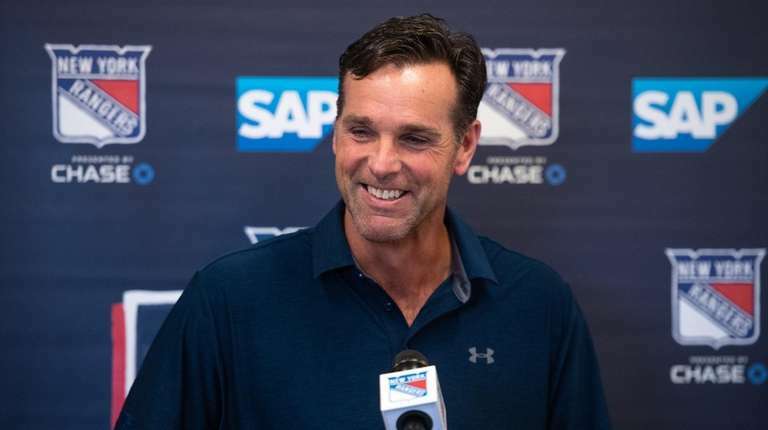 Training camp for the 2018-19 season kicks off Friday for the Rangers for the first time under new coach David Quinn. Quinn, who replaced Alain Vigneault behind the bench, has spent the summer trying to get to know his players off the ice, but this will be the first time the new coach will get a chance to see most of his roster performing on the ice. Practically speaking, other than defenseman Kevin Shattenkirk, who is coming off knee surgery, and defenseman Adam McQuaid, who was acquired in a trade with the Bruins on Tuesday, Quinn’s opening night roster isn’t likely to look too different from the team that ended last season 34-39-9. Henrik Lundqvist, 36 years old now, returns in net, Mika Zibanejad and Chris Kreider are back on the first line and Brady Skjei, the ink still wet on the six-year, $31.5 million contract he signed over the summer, is back in the middle of the defense. Rookies Lias Andersson and Filip Chytil, the team’s two first-round picks in 2017, are both expected to be full-timers on the team, after both spent most of last season in Hartford but finished up with the Rangers. A number of prospects, led by 20-year-olds Brett Howden and Libor Hajek, will get extended looks in camp, though the Rangers have enough veterans in camp that they won’t feel the need to force any youngsters onto the roster who they don’t think are ready to play in the NHL. The Rangers, of course, announced to their fans last February that they intended to rebuild, and for the last six or seven months, GM Jeff Gorton has made it a point to collect young prospects and draft picks and not do too much in the way of beefing up the roster with experience. McQuaid, who was acquired Tuesday for depth defenseman Steven Kampfer and some draft picks, is an exception to that general philosophy. At 31, he adds a veteran presence to help mentor some of the younger players, and at 6-4 and 212 pounds, he’s big and tough and defense-minded, adding several elements the team was missing late last season. Quinn, 52, came to the Rangers after coaching college hockey at Boston University for the past five seasons. His primary mission this season will be to install a solid defensive system and groom the young players who will become the organization’s core. His first message to the team? He’ll talk about how he intends to run high-energy practices, and he’ll tell the players he’ll need them to work together.